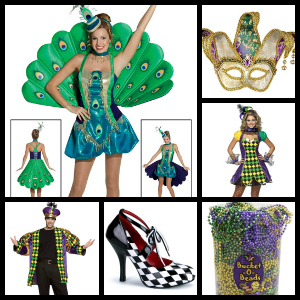 When you think about Mardi Gras the first place that usually comes to mind is New Orleans. While it’s hard to imagine a bigger or better celebration than in NOLA (there’s not and we promise the author is not biased) take a look at our list of places that hosts their own carnival celebration! They say in Texas everything is bigger! If this is the case, then Texas is at the top of our list of places you didn’t know had a Mardi Gras celebration! Every year Galveston hosts a twelve day carnival that attracts upwards of 250,000 people. 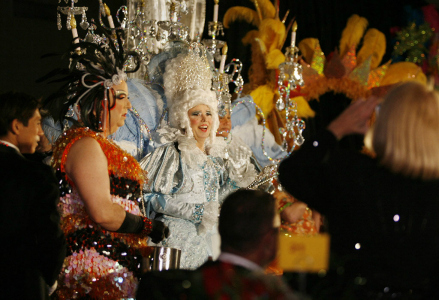 It began in 1867 since then the Texas Gulf Coast Mardi Gras has become a popular destination for families and friends. Like NOLA, Galveston hosts morning and nightly parades and has nearly fifteen krewes (private social club, think people on the float throwing the beads). Not to mention its annual golf cart parade and Jolly Jester 5K. In a true New Orleans style, the Texans even eat King Cake a round cinnamon-roll with purple, green, and gold icing! (Yum) We’d say, if you can’t make it to NOLA for the festivities, Galveston Texas is the next best thing. Keeping things in the south, Pensacola is next on our list! 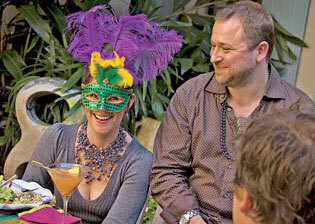 The festivities begin in early January and peaks on February 12, 2013, this year’s Fat Tuesday. Remember, Mardi Gras is the day before lent. Besides the weather, one great thing about their celebration are the krewe balls which are open to the public! In NOLA, balls are the social event of the season, some by invitation only, with debutantes being introduced at the Ball Tableau. There are as many as one hundred floats in Pensacola. Floats are usually elaborately decorated and have a large number of krewe members riding on them tossing trinkets into the crowd. If you’re in the Pensacola this year, be sure the check out the Krewe of Lafitte’s parade of lights the Friday before Fat Tuesday, it’s a hometown tradition. Mobile, Alabama and Biloxi Mississippi both host their own carnival celebration in the Gulf Port region. The great thing their celebrations are the number of family friendly events that are held throughout the month. If you’re with your children be sure to find the designated family friendly parade routes, it’s an alcohol-free area. Surprisingly enough, Saint Louis Missouri has made it to our list of places! And if you love pets then you’re in for a treat! Every year nearly 70,000 people, along with hundreds of animals attend the city’s annual pet parade. Participants walk with their adorable balls of fur and man best friends before the crowd avec costume. 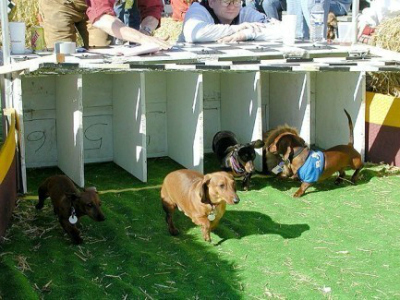 In addition, St. Louis hosts its annual Wiener Dog Derby, a three division race that honors the fastest dachshund. If you don’t live in or near any of these states, here’s a quick and easy way to throw your own Mardi Gras celebration. Decorate your space with the traditional colors of the season: purple, green, and gold. Encourage your guests to wear masks and dress up using the traditional colors. Scour the internet for some upbeat jazz music and create a play list, it’s a must. If you’re adventurous in the kitchen, serve a NOLA favorite like po-boys for appetizers. It’s just French bread, lettuce, tomato, pickle and the meat of your choice! For a party like this, a king cake is a must have! Make mini cinnamon rolls and use food coloring to dye the icing! Have fun and as they say in New Orleans, laissez les bons temps rouler (let the good times roll)!